These days if your website – and overall web presence – isn’t backed up by fresh, relevant content being shared via it every week then you’re going to be at a disadvantage compared to those that do have good content. Drupal is definitely a household name when it comes to content management, and while WordPress may be king based on the simplicity of use it offers, Drupal is really where it’s at for those of you who have even the most basic of computer application wherewithal. Here at 4GoodHosting, we’re not unlike any other Canadian web hosting provider in that we strive to relate the importance of promoting your business or personal venture effectively on the web. Drupal is currently the top content management platform used by governmental and non-governmental agencies, global companies, and higher education institutions, so it’s fair to say that it is the most solid choice for a content management platform that’s designed for those who have a more developed and polished web site and web presence, and know their way around that site with a measure of can-do authority. 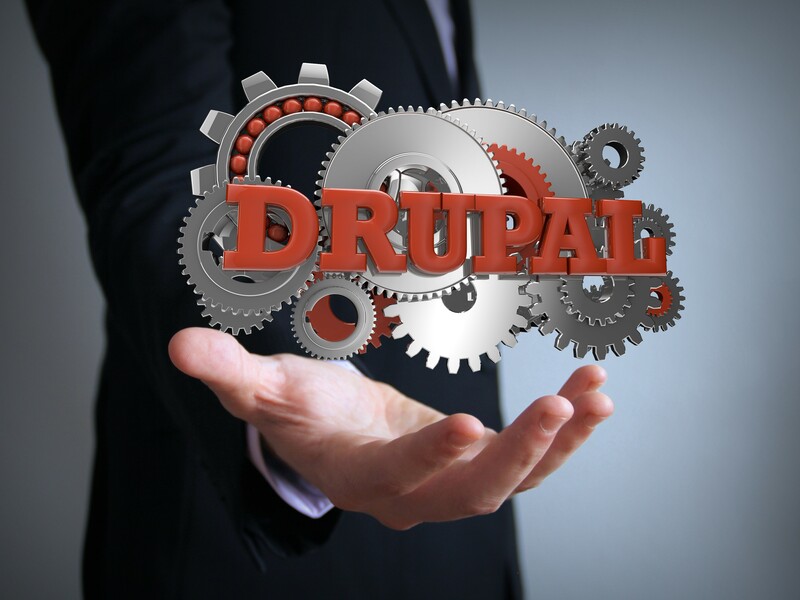 Since Drupal was first released in 2000, it has stayed at the top of the industry by developing the latest innovations, raising the standards of digital experience, and being the consensus preferred content management platform available. Here are the top 6 reasons why the new Drupal 8 is the best choice for you and whatever interest you have in promoting yourself online via quality, original content. Drupal’s developers here introduced a convenient, user friendly interface that allows site admins and editors to quickly and easily perform foundational tasks like data modelling, front end, landing page, installation, establishing information architecture, and much more. Further, training with it is very simple thanks to the Drupal 8 user guide and the large number of Drupal training organizations available on the Marketplace. You can also find a wide variety of video tutorials, books, forums, and even a community where you can have all your questions answered. Configuration management is built in at the file-system level with Drupal 8, so you will have no problem carrying over configuration elements like fields, content types, and views from your local development to the server. Tracking your configuration changes is made easy by use of a version-control system. All configuration data is stored in files that are kept separately from the site database. Drupal 8 also comes with the Drupal Module Upgrader, which lets you automatically convert your Drupal 7 code to Drupal 8, with a smooth and reliable migration process. The Module Upgrader scans and then upgrades the previous version, while flagging any code that should be upgraded and also pointing out relevant changes as they are needed. Successful businesses grow, and with that growth comes an increasing demand for interactive websites with a variety of elements. Sometimes sites that are handicapped by one or more functioning components of the site can leave that website running much too slow. Drupal 8 is equipped for scalability, and has the enhanced features necessary for your website to be as dynamic as it needs to be without running slow. Thanks to WYSISYG editor CKEditor being bundled with the core, authoring with a content management platform has never been easier. Drupal 8 is integrated with a variety of key marketing tools, and it offers a greater variety of better content authoring tools. Add improved translation capacity which allows your business to interact with a global audience that may have previously not been within your reach and this really is a big selling point for Drupal 8. You can use Drupal 8 to deliver experiences on desktop, laptop, phone, tablet, or anywhere else a customer chooses to view your content, and nothing additional is required of you. Keep in mind when considering this that if your site is not mobile-friendly, you can expect anywhere from 50 to 79% of your visitors to bounce within seconds of arriving and they will also be very unlikely to return anytime in the future. Avoiding this possibility is made easy when Drupal 8 is your CMP. In conclusion, Drupal 8 is especially easy to use, and in the event you do run into a problem then there are plenty of directions you can turn to for assistance. You can also count on it making authoring, configuration management, and upgrading equally simple, while also offering translation services along with being able to immediately adapt for mobile devices. Slam dunk as far as the best CMP out there right now as far as we’re concerned.